Starlights Rejoice! 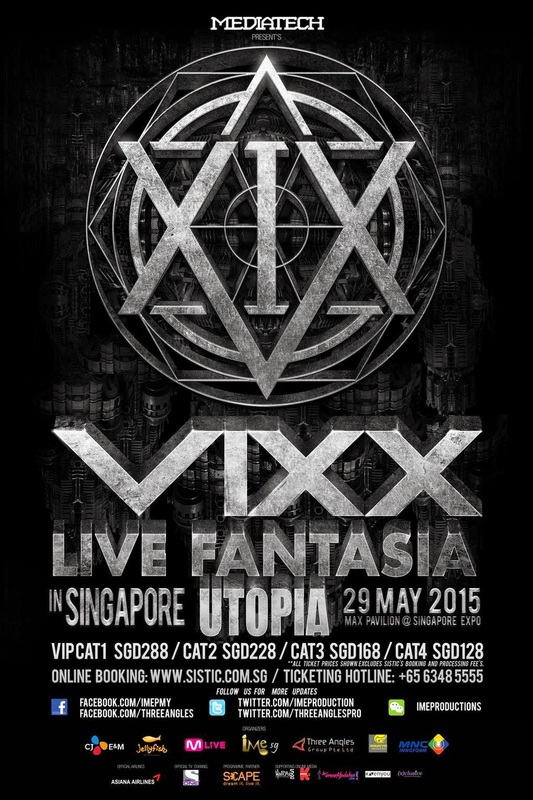 One week to the opening of Vixx Live Fantasia Utopia in Korea, followed by Japan and Manila later in May, Vixx is coming to Singapore too! One of the main organizers in Singapore, Three Angles Production (the one behind Bangtan's Red Bullet Tour and A-Pink's Tour in Singapore) revealed a poster with the caption "Are you ready for VIXX Live Fantasia Utopia in Singapore?". Let's wait for full and official announcement. 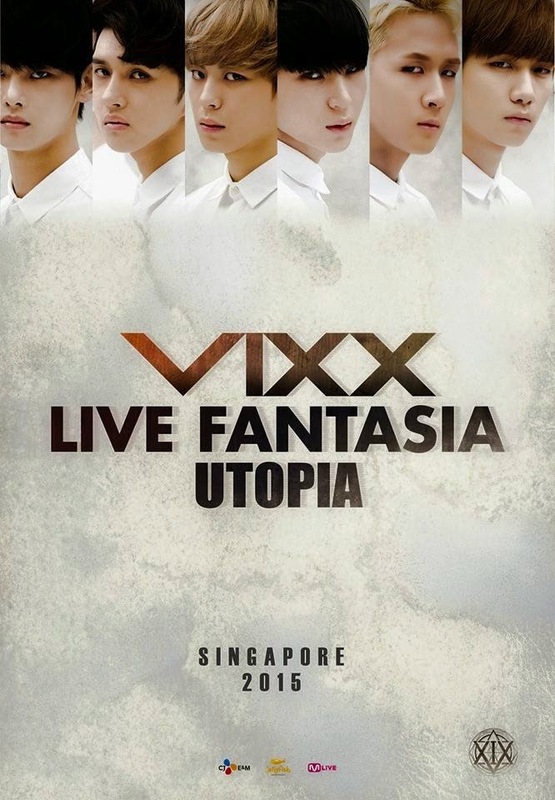 Dorkistic is thrilled if we get to follow Vixx to Singapore as we are going to Korea and Japan for Vixx Live Fantasia Utopia! VIXX LIVE FANTASIA UTOPIA IN SINGAPORE! She seems to think so, apparently; but those are the risks of giving websites to - mentally and non - 12-years-olds who use those sites as a place to "sponsorize" (with links almost bigger than their site design) their Facebook pages.